Can your teen get free college money if he/she is not a super straight A student? What if your kid doesn’t know what they want to do in life? Trevor’s secret to success came out of his own personal need. He was awarded $178,000 in financial aid from Boston University despite thinking that community college was his best option. 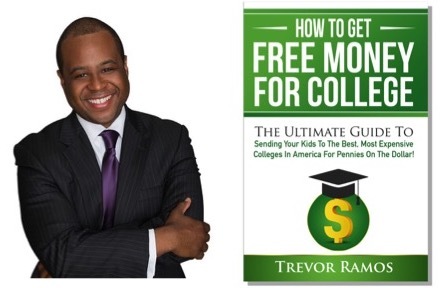 After his own personal successes, he decided to devote his life and career to helping parents and students understand what it takes to get accepted to the college of your choice, receive thousands of dollars in scholarships and grants regardless of your income and assets, and pay for college without borrowing or using your retirement money. “GET FREE MONEY FOR COLLEGE, ELIMINATE DEBT, CASH FLOW!!" Join us at our 1st FREE live monthly speakers’ series event.